Thanks to the Weekly Script read this shooting draft of the original All The King’s Men. This film was nominated for seven Oscars, including Best Writing, Screenplay. I mentioned in early January that an early draft of Smokin’ Aces by Joe Carnahan was available on the ‘net. Guy Jackson, one of the discussion board regulars has a great review of the movie that came out yesterday. The beauty of the review, in my mind, is that it was the reading of the script that prompted Guy to go out and see the movie. I am still horribly behind in getting unproduced scripts up, but I have, for your reading pleasure, everything submitted up to the 20th of this month up on the unproduced scripts page. This month’s One Week Challenge, wherein members of the site have a week to write a 15 page or less script on a particular genre and theme, garnered thirteen submissions despite the fact that shortly after it was announced, but before I could advertise it, I got sucked deep into my day job. This month’s genre was Science Fiction. The theme was Popcorn. To see what was turned out, check out the January 2007 One Week Challenge page. On the Movie Scripts page, thanks to The Weekly Script we have a shooting draft of Deep Cover. Thanks to Weekly Script read this shooting draft of the 1992 Deep Cover. That would be on the Movie Scripts page. Thanks to Suzanne for the heads up on this offering from SciFiQuest.com – transcripts of The 4400. Those transcripts and more are on the TV Scripts (and transcripts) page. 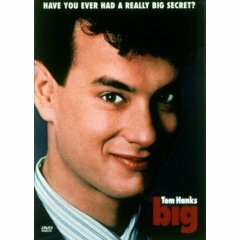 Thanks to “No credit for these” and Awesome Film we have the July 2, 1987 revised draft of Big by Gary Ross & Anne Spielberg (yes, sister of Stephen ). “NCFT” writes, Since Big is coming out in a special edition dvd [on March 27th] that whole issue of the “alternate ending” has come back. Hopefully if this gets posted that rumor will be put to rest once and for all. Back in the late 70’s Paramount tried to put together a Godfather Part III without Coppola and Puzo on the screenplay. Read Dean Rieser’s take on it. Needless to say, it was never produced. Thanks SciFiScripts for the heads up on this wonderful site PeekVid which aggregates video feeds from popular movies and tv shows. So, if you are keen on a peek at Torch Wood or other shows you’ve missed, do give it a look. Thanks to Pierre who writes, …herewith [is] “The Dark Year” an adaptation of a short novel by Ismail Kadar?, the well known Franco-Albanian writer who won the Booker Prize last year. This screenplay was written originally in English and the film is actually being shot in Albania. I will be honored to have you show it on Simplyscripts since your site has been of great help to me professionally. The Dark Year takes place in 1914 Albania, just prior to the outbreak of World War I. Albania, long under the rule of the Ottoman Empire, is now a free, though chaotic country. Five villagers set off to war to defend their country. They can’t find the war but the hero finds a woman he saves from crucifixion. Update: I’ve fixed the broken links to the scripts. On the unproduced scripts page there are sixteen original scripts up for your reading pleasure. Entries (RSS) and Comments (RSS) | 63 queries. 0.197 seconds.